For many, the term "mass shooting" conjures up a random attack in which a lone gunman opens fire, often for unknown reasons. Of the 20 mass shootings that ABC News identified in 2018 that fit the FBI's parameters, 10 were instances of either intimate partner or family violence, both of which are forms of domestic violence. Seven of those 10 cases involved men fatally shooting either their girlfriend, wife, or ex-partner, along with at least three other people. Some of those other victims were relatives of the female victim; others were bystanders. Two of the 10 cases involved a familial homicide, with parents or children shooting their direct relatives. And in one case studied by ABC News, the male suspect kill his ex-partner's four young children. In another case, a mother killed her own children. 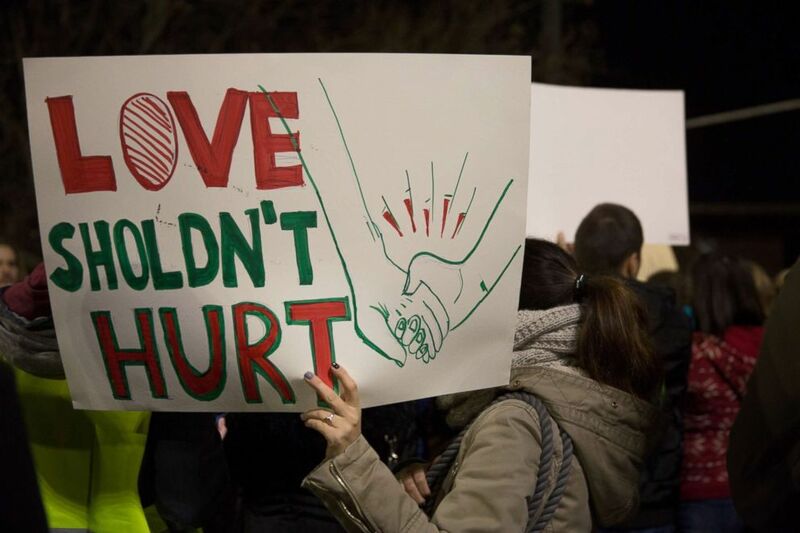 A Bulgarian woman is seen holding a poster during a protest on the International Day for the Elimination of Violence against Women in Sofia, Bulgaria, Nov. 26, 2018. But too often, domestic violence doesn't receive the same media attention as other types of shootings, say many domestic violence and gun control advocacy groups. “Unlike in years past when they may go into a location and harm that person, instead they're going into a school, a workplace, a house of worship, and they're seeking to address their grievance by shooting a large group of people,” Cohen said. In November, the United Nations Office on Drugs and Crime released a report on the threats facing women around the world, showing that some of their greatest and deadliest dangers are at home. 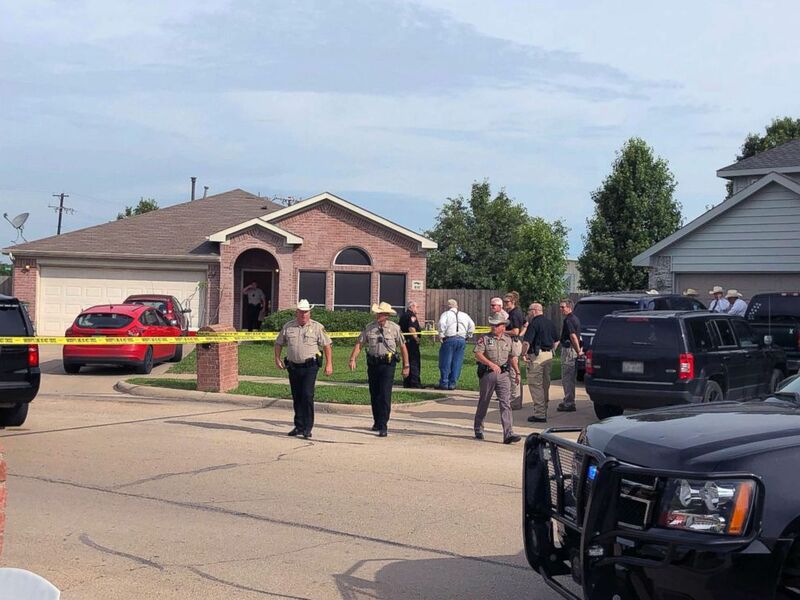 Denton County Sheriff Deputies work the scene of a shooting in Ponder, Texas where multiple people died, May 16, 2018. And the month before, a father killed his three children -- ages 4, 6, and 8 -- as well as his ex-wife’s new boyfriend. The suspect killed himself in front of his ex right after killing her boyfriend, she told The Huffington Post.